Quorum Short Robusto Natural is a medium bodied smoke with woody and nutty flavor in a unique 3 1/2 x 50 Short Robusto vitola. I say i prefer a quorum shade but it not bad too..
Clean burn, lots of smoke and consistent construction. Better than some more expensive sticks and perfect for when time is short. My new favourite workshop smoke! 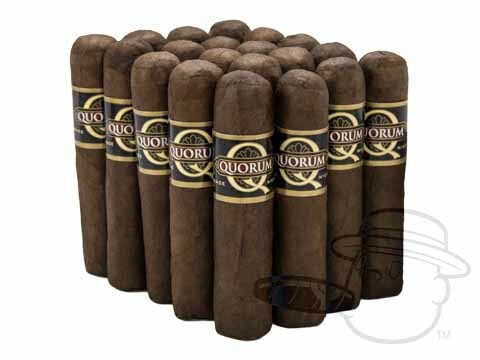 Quorum Short Robusto Natural is rated 3.7 out of 5 based on 7 customer ratings.